Buhari’s completed, ongoing projects are unmatchable – Adjogbe – Royal Times of Nigeria. 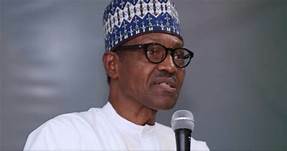 ASABA-EXECUTIVE Director of Projects EDP on the board of the Niger Delta Development Commission [NDDC], Engr Samuel Adjogbe, and yesterday said that numerous completed and ongoing projects of the President Muhammadu Buhari Administration were unmatchable by any standard. Fielding questions from newsmen, shortly after being honored for ‘Outstanding Performance in Leading Change’, Adjogbe said President Buhari’s commitment to infrastructural development is clearly visible in the Niger Delta region and the nation at large. The EDP who was represented by his Technical Assistant, Mr Nelson Onwo said “with the spate of completed projects so far, one must agree that such commitment to infrastructural project development has never been demonstrated before now.” While thanking the organizers of the event for the recognition, he said it was a call to do more. Alluding to the newly commissioned Port Harcourt International Airport Terminal by the Federal Government, Adjogbe said that: “Just like the newly commissioned Port Harcourt International Airport Terminal and several other mega projects by the Federal Government, NDDC shall continue in the likes of the recently completed Ogbia – Nembe road project. “Furthermore, the Okerenekoko-Omadino-Escravos road project which is currently at contracting stage is a reflection of this relentless drive on the part of NDDC”. Presenting the Award, Keynote Speaker at the event Prof. Isaac Zeb-Obipi said the Award was in recognition of the recipient’s continual support and exceptional contributions to the advancement of the nation. Noting that Engr Samuel Adjogbe has exuded astute value and exemplary leadership role as an Executive Director, Projects NDDC, he said that such attributes were worthy of emulation.